Scar 4x4 Auto Parts and Mechanical was established by Sam Buddhika not too long ago in 2013. Working on cars has been a family passion since his younger years; and runs in the family, initially modifying cars together. Having played with cars since a young fellow, he completed his apprenticeship as a mechanic and worked in the industry for about 20 years. So going into the auto wrecking business feels like it was always his destiny. Since establishing the business Sam really enjoys his job and runs his business with passion - always ensuring his customers are well looked after. Specialising in all European models including Alfa Romeo, Skoda, Volvo, Jeep, Land Rover, Jaguar, Mercedes Benz, Lexus, Dodge, Porsche as well as Holden and Ford. The business has seen much growth and are looking to expand in the near future to accommodate even more. The team at Scar 4x4 is complete by Mandy, who is in charge of everything in the office, with Ali and Taylor, who Sam says are amazing young lads, working hard in the yards. All up the team has over 30 years experience in the industry. Scar 4x4 offer spare parts and fully warrantied mechanical repairs. Turning over approximately 600 cars a year so far they are always fully stocked. 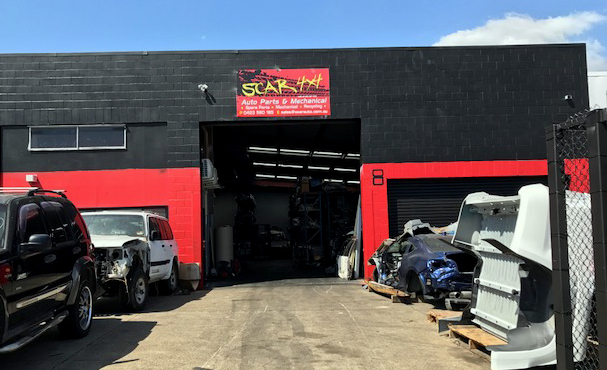 The pride the team has in knowing what stock is available has enabled Scar 4x4 to always offer a speedy service, not just locally, but Australia wide. 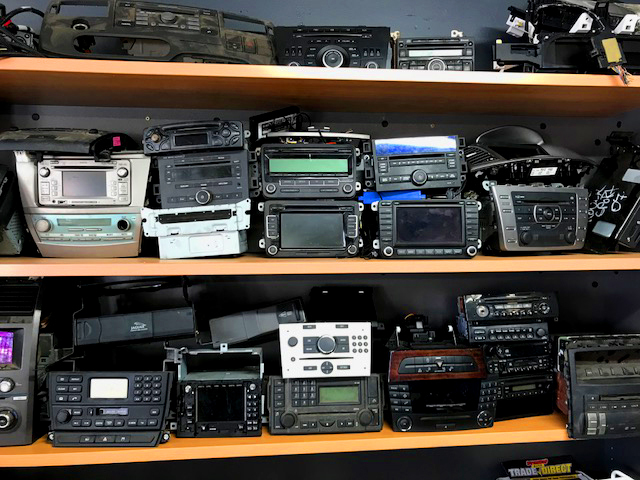 Sam’s strong belief that running a successful dismantling business is bases on always delivering excellent service and sourcing parts for customers, even when not available in the yard. Sam considers his business and his team to be for the people and this is the core of what drives his business and his success. Using technology, in particular building a great reputable business on eBay, is one aspect he really enjoys in running a successful business. When looking to the future, his main concern, shared by many in the industry, is the impact of the car insurance industry. Sam feels that the big insurance companies are driving small business away by monopolising the car repair service industry. His other concern is backyard mechanics who he feels are having a negative impact on the repair industry as well. Sam enjoys all activities that involve speed, he specially enjoys spending time with his boys and being around the ocean, he also enjoys his fishing and tries to enjoy these activities as much as he can. Sam is looking forward to the future with his business and providing excellent service and parts to all his customers.